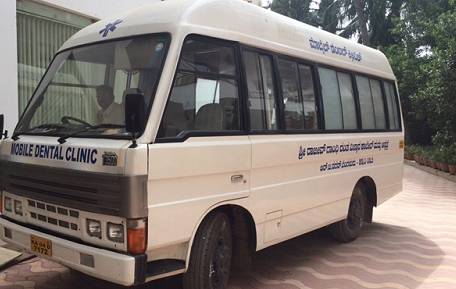 The dental college mobile clinic facility for the frequent camps conducted by the Department of Public Health Dentistry with the association of General Medicne and Surgery Department. The camps are conducted in all parts of the city and in rural areas covering a distance upto 50 kms radius. The mobile clinic has the faility for dental x-ray, dental chairs, oral minor surgery, dental check ups and minor treatments.